Choosing the members of your building team is the most important step in your home construction project. Good building plans and contract documents are important, but the people you hire to build your custom home will ultimately determine if your project comes in on time and on budget as well as your level of satisfaction with the finished product. The most critical member of your team is your builder/contractor and we can’t overemphasize the importance of this decision. No other decision you make during the home building process will have a greater impact on your home building experience. It’s also important to note that the impact of the builder you select doesn’t stop with the construction of your home. While the right builder can have a positive and uplifting effect on your home building experience as well as your personal and professional life, there’s no limit as to the damage that the wrong builder can do. An unethical, inexperienced, unlicensed and/or financially unfit building contractor can at the very least ruin your home building experience, but unwary homeowners are seldom that lucky. Homeowners in this position should consider themselves lucky if the only problems they had was being six months behind schedule with huge cost overruns, terrible workmanship, horrible communication and a slew of mechanics liens. It’s much worse for unlucky homeowners whose dream homes stand vacant, partially finished and covered in debris years after their completion due date. The funds from the construction loans are long gone, their dreams are shattered and what little hope they have of recouping a fraction of their investment has already be languishing in an overburdened court system for years with no end in sight! What happens to building contractors when this occurs? Each circumstance is different, but in most cases unethical builders can file bankruptcy or tie-up expensive legal proceedings indefinitely. Years of legal fees with no tangible progress and a fading dream eventually take their toll on homeowners and the builder’s legal troubles cease to exist eerily reminiscent of the way that homeowner’s dreams faded out of reach and into darkness. This happens more often than homeowners might think and much more often than Banks and Mortgage Companies would like to admit! 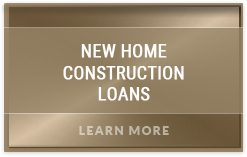 Leading up to the mortgage crisis of 2008, most banks and mortgage companies allowed custom home builders to borrow at will with little or no attention paid to qualification requirements. Builders would fund their own construction loans and homeowner’s rarely had to worry about the rigors of construction financing. 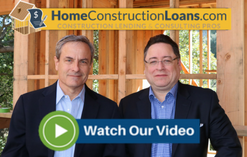 That ship has sailed and in today’s construction lending environment, the responsibility for home construction financing falls squarely on the shoulder of homeowners. Builders must qualify and be approved by lenders before a construction loan is approved, but the only one on the financial hook is the homeowner! The dream of building a custom home in today’s marketplace is still alive and well for many homeowners, but the requirements are more stringent and the process is much more complicated. For most, building their dream house is a once in a lifetime experience and the single largest financial and emotional investment that they will ever make. Investments of this magnitude are not to be taken lightly and should be given the attention and respect they deserve. Very few property owners have the time, expertise or desire to oversee the construction of their home from beginning to end and that’s exactly the type of attention that a custom home building project deserves. 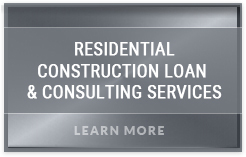 As career construction and construction financing professionals, we have the insight and experience that it takes to monitor every phase of the construction process from concept to completion. As homeowners, we understand the time, effort, financial investment and sacrifice that you have made to put yourself in the position to build a custom home. 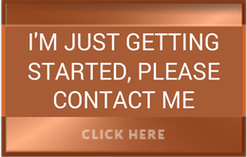 Arroyo Consulting Group was founded to protect the dreams and investments of homeowners just like you. 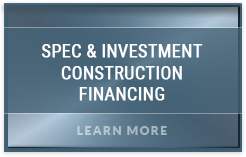 Our construction and construction financing professionals take that responsibility very seriously and we go to great lengths to insure that every aspect of the construction process is handled in a timely, cost effective and professional manner while maintaining the quality and integrity as specified in your original set of building plans. Verifiable track record of quality construction using quality materials and quality workmanship.